Carrots are another unappreciated and inexpensive food. Aside for being great as an addition to soups and salads, carrots are a good stand alone vegetable. 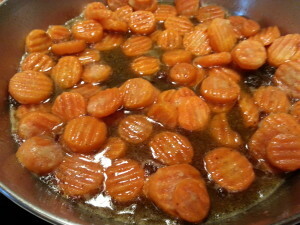 When carrots are roasted in the oven, the natural sweetness really shines. 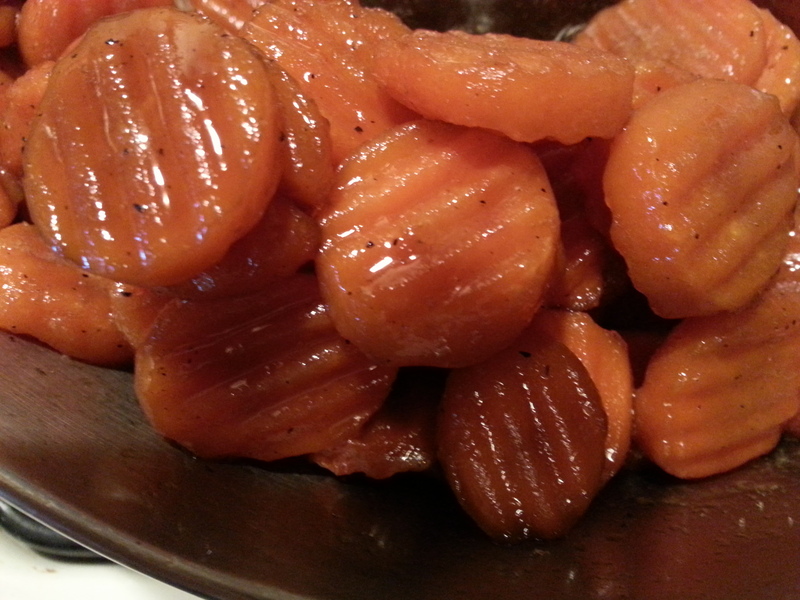 An unexpected way to serve carrots is to “candy” them as my mother called it. It’s really quite simple, and it’s tasty. It always amazes me that people who have eaten candied carrots at my house have consistently told me that they were sweet potatoes. They were sweet and delicious. There was no way that they could have been carrots. I’ve never heard of candied carrots. To these comments I reply with Thank You; They were sliced carrots; It’s not a well known dish, but it’s common in certain circles. The things that I like about candied carrots is that I can always pick up a pound of carrots for under a dollar. They seem to have a longer shelf life than sweet potatoes, and carrots are available all year long. Another thing is that candied carrots are so easy to prepare, and though there’s sugar added to the pot, it’s not a great deal of sugar. I believe that if I can get my kids to eat more vegetables without complaint, the recipe is a success. If you are using baby carrots, or fresh carrots cut into chunks, you will want to steam them until they are soft, but not mushy. This takes about 5-10 minutes for most carrots. The carrots are then added to a pan where brown sugar has been melted in butter. After stirring them around for a few minutes, the carrots are coated with the butter and sugar mixture which has begun to soak into the carrot flesh. 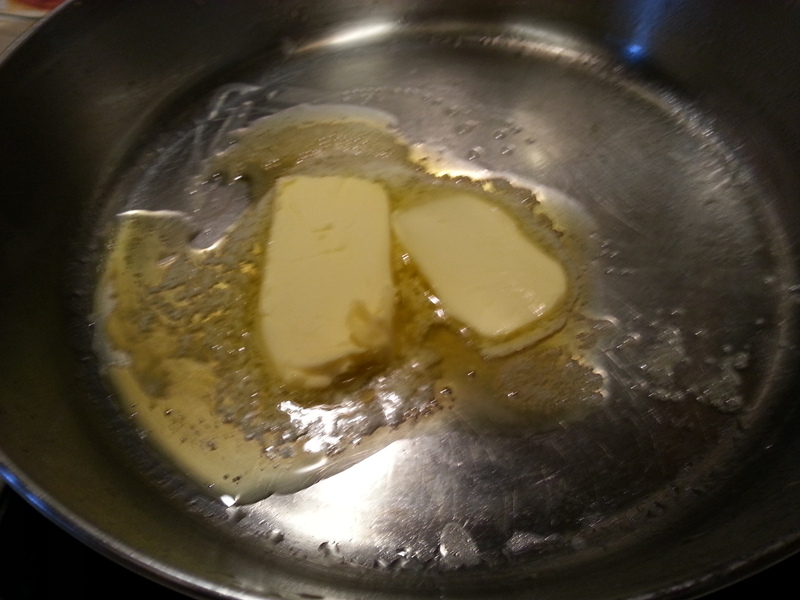 Suggested: Save those pan drippings. Tomorrow, we will discuss how to transform them into something else. What did Grandma always say about waste? Frozen carrots are cooked a mixture of butter and brown sugar to glaze them and make a delicious side dish your family will love. This can be made with fresh carrots, but you will need to first steam the carrots for 5 to 10 minutes in order to soften them. Melt butter and brown sugar in sauce pan over medium to low heat. Add frozen carrots to pan and stir until well coated. Cover pan and allow to cook for 10 minutes stirring occasionally until carrots are heated through. 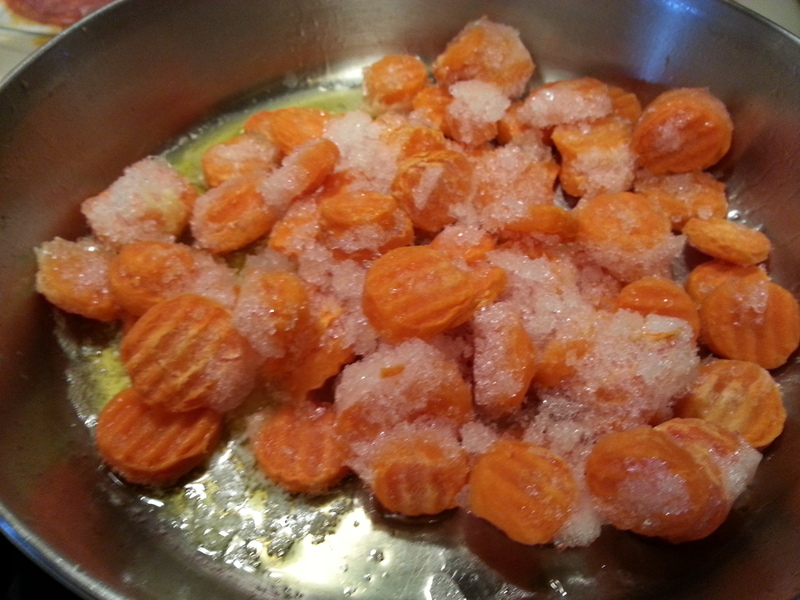 The frozen carrots will release quite a bit of liquid as they thaw. Once heated, serve with liquid spooned on top.